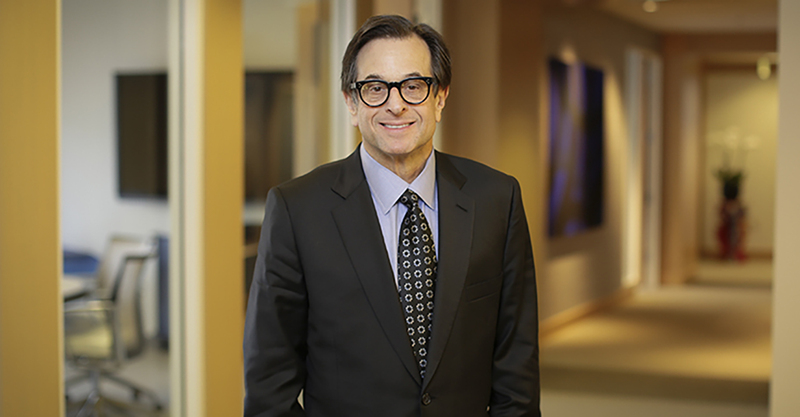 Inspired by the writings of Studs Terkel, champion of the everyman, Stephen Hirschfeld built a career as one of the nation’s leading employment lawyers – with more than 100 trials and the nation’s largest employment law alliance to his name. He has spent his entire career in employment law, and co-manages one of the nation’s best law firms focusing exclusively on counseling employers – San Francisco-based Hirschfeld Kraemer. His reputation has earned him numerous accolades, including a regular spot on Lawdragon’s Guide to the Most Powerful Corporate Employment Lawyers. Hirschfeld’s passion for employment law predates his studies at George Washington University Law School, where he graduated in 1982. Building his own business has allowed Hirschfeld to maintain a firmwide focus on clients’ employment needs while also crafting a unique work environment dedicated to diversity and having a sense of humor. 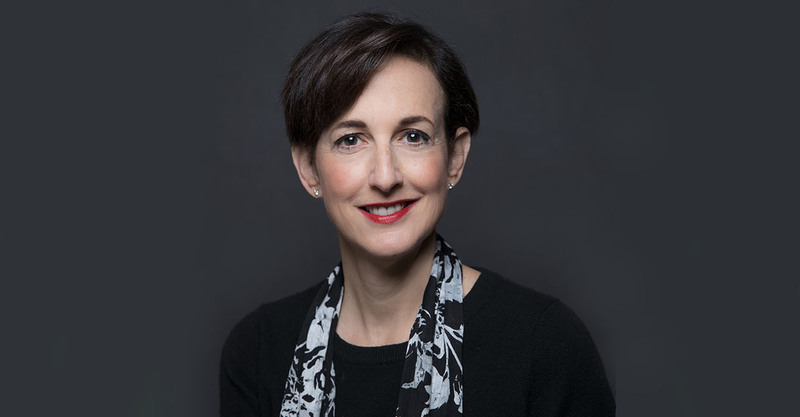 Hirschfeld is also the founder and CEO of The Employment Law Alliance, a network of employment law professionals spread across all 50 states and 135 countries. Lawdragon: How did you first become interested in an employment practice? Stephen Hirschfeld: My interest in employment law goes back to college, where I first read the book “Working” by Studs Terkel. This gave me a special appreciation for the importance of work and just how deeply intertwined it is with one’s identity. The value of work, human resources, and how organizations function were interesting to me. Employment law was a natural fit and today, I pride myself on helping companies operate more effectively in managing and empowering employees and creating systems for workers to express concerns in a constructive, amicable way, with litigation as a last resort. LD: What do you find professionally satisfying about that type of practice? SH: Everyone wants a great workplace – one that is mission-focused and helps employees grow and flourish. The HR department plays a key role in making this happen, and my practice is complementary to all they do. Together, we help keep businesses humming along and ensure employees are respected, motivated, and hopefully happy to come to work. People can be quirky and have their challenges, but working with employers and employees towards harmonious workplaces is both enjoyable and challenging. LD: Why did you found the Employment Law Alliance and can you explain what that company does? SH: I’m a born entrepreneur – it’s been my passion since childhood. I love to build and run things, and I’m especially interested in unconventional approaches. Twenty years ago, I left a “Big Law” firm and started my own labor and employment boutique. My goal was to combine innovative techniques with time-honored traditions to create cost-effective, timely solutions. Many of my clients had operations in multiple states and countries, so as I was building the firm, I looked for creative solutions to deal with cross-jurisdictional employment issues. In the process, I kept meeting talented local labor and employment attorneys at firms large and small, all over the U.S., who were similarly dedicated to the same principles, but seeking access to a larger platform. And it wasn’t just U.S. lawyers, this was a global phenomenon – I discovered there were many outstanding, ethical, diligent, labor and employment attorneys worldwide looking to leverage a larger referral network in order to provide advice to multi-national employers. The entrepreneur in me kicked in, and I dreamed up and implemented a strategy to create a truly global and seamless provider of employment law services via the Employment Law Alliance. There’s just nothing like having 24/7 access to local counsel who are experts in local law. ELA kept growing, and today we have over 175 member firms across the globe. The ELA holds regional and global client conferences and monthly webinars on a wide range of labor and employment law topics. Our joint clients have free access to an online Global Employer Handbook that provides comprehensive employment law guidance for all 50 states and over 120 countries around the world. We hold annual ELA member meetings, and we are constantly sharing employment law advice with each other. We regularly team together on a wide range of client projects including M&A transactions, multijurisdictional litigation, and trade union issues. We’ve created a fantastic camaraderie within our network so that we know clients will be well looked after, whichever jurisdiction they’re in. Within our network, the ELA’s lawyers aren’t just business colleagues, they’re personal friends. Our goal has been to ensure that lawyers from around the world work closely together and develop deep and lasting friendships. My objective in creating the ELA was simple: “friends never let friends down.” For someone like me – a guy who’s obsessed with geography, culture, travel, and inherently curious about what makes people tick and what makes organizations work – the ELA has become a vital resource and a true passion. We are a virtual United Nations of cultures and languages, connected by a shared commitment to the law and to outstanding client service, anywhere in the world, at any time – night or day. SH: For companies of all sizes and in every industry, employee misconduct – including theft, violence, substance abuse and harassment – is destructive and requires both rigorous training and, at times, in-depth and thorough outside investigation. More than 25 years ago, I noted that employee misconduct was on the rise and I developed a program to educate companies on how to investigate these issues. We still offer this valuable tool to our clients, updated for the times. Our goal is to educate our clients on changes in the law and equip them with resources, both in-house and outside, to help them identify and assess problems and make lasting reforms. The #MeToo movement has increased the onus on companies to ensure that internal controls and external resources are sound, and that employees are not only being heard, but are feeling confident in their HR departments. Trust in the system is key and can help both to address concerns effectively (and often internally) and to ensure that misconduct is not allowed to run rampant. On the witness stand for three days during the Ellen Pao trial, after serving as outside investigator for Kleiner Perkins, I was cross-examined by the plaintiff’s counsel, a process that gave me a new perspective on how my investigations are viewed from the other side. I’m a better investigator because of it, and the trial reinforced that all of us at Hirschfeld Kraemer are doing the right thing – a conclusion with which the jury ultimately agreed. LD: What are some keys to successfully representing clients in the employment context? SH: The two keys to successfully representing our clients are, one, thinking creatively and unconventionally; and two, figuring out a way to say “yes” in order to accomplish our clients’ objectives within the bounds of the law. For example, when a company is downsizing, there’s always a high potential for legal action. Restructurings are painful for workers, executives and boards alike. Above all, people need to be treated fairly, and a company needs to be transparent when facing an inflection point. Ensuring that morale stays afloat is crucial challenge. To this end, the ELA has been a great asset, enabling Hirschfeld Kraemer to assist with restructurings in multiple jurisdictions and time zones simultaneously. With help from my ELA colleagues, we have seamlessly implemented reductions in force while complying with local laws and customs resulting in minimal legal and public relations fallout. LD: Is there a specific reason why you chose George Washington over another law school? SH: It felt like D.C. was calling me. The intersection of politics and the law is so important and instrumental in our lives. Of course, GW has always had a sterling reputation for launching successful legal careers, as well. LD: Is this the type of law you imagined yourself practicing while in law school? SH: Rick Guarasci, my undergrad government professor at St. Lawrence University (and currently the President of Wagner College on Staten Island), encouraged me to read widely and taught me how to examine things from new angles. He enabled me to appreciate all the nuances of the employer/employee relationship. My commitment to thinking out of the box came from him. SH: I started out doing traditional labor law, but over the last 35 years, my focus has moved more toward the employment law arena, handling discrimination, harassment, wrongful termination and trade secret/noncompete issues. I still have a very active union practice, covering a wide range of matters including union organizing, collective bargaining, and labor arbitrations. Interestingly, there seem to be fewer and fewer of us doing this work these days despite an ongoing need. LD: What brought you out to California to practice? Did you consider staying on the East Coast after law school? SH: I wanted to live in California – specifically, San Francisco – since I first visited when I was 10. I just knew this is where I wanted to be. Now I can’t imagine living anywhere else. LD: How did you come to start your own firm – why did you do that instead of joining or staying with another firm? SH: Being part of a firm focused solely on employment law was and is important to me. Today, not only have I had the opportunity to co-found a great firm with three offices in Northern and Southern California, I also work in an environment with people who are both colleagues and friends. LD: Can you tell us a bit about your work representing colleges and universities. How did you develop this focus and what is unique about this type of client? SH: My first exposure to higher education law was during a law school internship at NACUA [the National Association of College and University Attorneys], where I was fortunate enough to meet one of my lifelong mentors, Mike Grier. Mike helped me understand the field, and over time, I have developed deep and lasting relationships with institutions across the country. Higher education is an exceptional area, legally speaking, and the issues arising at the various intersections of communities and boards, faculty and students are quite unique and challenging. My firm works with hundreds of colleges and universities across the country. LD: What is Hirschfeld Kraemer like as a place to work? SH: Hirschfeld Kraemer is a place for attorneys who want to focus exclusively on the employer-employee relationship. We work for employers, and we all do employment law, period. This concentrated focus is quite different from many firms, where employment law is often a service line and not top of mind. We pride ourselves on not cloning one another. Diversity is our strength. All of our lawyers have outside interests and passions and come from extremely varied backgrounds. We have one common denominator: We insist that all of our lawyers have a sense of humor. We take our jobs seriously, not ourselves. SH: I love art, food, wine, and adventure travel, especially train travel. Any time I can combine them all together, even better. LD: What’s the most interesting or adventurous trip you’ve taken? SH: Ever since my son Zack was born (29 years ago), my wife and I have taken him on some type of global adventure. A few years ago, he and I spent 23 days on the Trans-Siberian railway, an incredible and memorable experience.